"There's too much to talk about my time in UISZ, is such a weird but miraculous place that I loved and hated the most! Every single moment no matter good or bad in there teaches you a lesson, they are valuable because it shapes who you are, who I am. Big thanks to my teachers, thank you all for the efforts that you have put in ! 2 years suffering from IB, I never thought of myself finishing my IAs, but I did. I never thought of myself passing IB, but I ended up completing it. Dear Year 11s, Come on, even Anni made it. I know at this age, we all love freedom and easiness. But you might spend 2 years not realizing how much you regret being lazy and not productive, hanging out more but not studying. Don't learn that lesson like me please...! Anyways, remember just to work hard, so you can play harder:) And trust every process that you are going through, it is meant to be and will teach you. “Leadership skill” is really important anytime, anywhere. It helps your company to be more efficient and successful. Leadership of self and others is a vital skill for success. As a result, to learn this skill will help me a lot in the future and in my career. "How has your time at UISZ made you a better person?" The environment and the people really allowed me to communicate, to start, and to lead, which make me an open and confident person. The responsibility I learnt from teachers. I learnt Balance from doing sports at school. I learnt Cooperation from teamwork in sports and group works. In summary, plenty of wonderful skills that are on the IB learner profile, I think the school did teach them all to me. "What is your favorite memory from your time at UISZ?" There are lots of good memories, for examples: Basketball Acamis, volleyball tournament, sports day… but my favorite memory is definitely going to be the last year G12 school camp. This camp involved all of the Year 12 students and we created this precious moment together. We hiked, barbecued, swam, drove and lots of other activities that will remain as memories deep inside our mind. Besides, because this was our last trip, everyone of us were treasuring this camp a lot. We solved emotional and relationship problems during the trip, therefore it was a turning point for everyone and we truly became a solid team. 1. What is your overriding memory of UISZ? Do you have a favourite moment or memory? There are uncountable good moments while studying at UISZC, one of them would be when Kiki, Sara and I gathered in Sara’s dorm after tutorial and sang some nice and calm Chinese songs together with guitar. Kiki was tuning, I was searching for lyrics and Sara was looking for some scores to play… At least for the moment whilst we sang, I could feel relief and put all the pressures down coming from the studies. I don’t know, the time give to us was very limited but it was a little moment that I can remind of UISZ, giving me good friends, good people to make good memories with. 9. If you could go back in time, what advice would you give yourself at the time you had to choose your diploma subjects? I hope students do not put themselves in a narrow choice when choosing the subjects but respect their own decision. What I mean is do not choose them solely aiming for the top college admission. If you have no idea what is going on, go and find the teachers and ask them for advice. Based on my experience, I have had a hard time in Art HL for past two years in IB. I was just one of students who love arts and who has passionate it. However, it demanded me a large amount of time and effort; I eventually had to stay up several nights to finish them. I’m not going to art school for uni, but I never regret this decision. I had the best teacher in my life always attentive and supportive. I can confidently say that I could successfully finish the course because he was my art teacher. Choose the subject that you are interested in. That would definitely make you a better person. Please enjoy what you are doing now. I know it sounds crazy, especially for DP students, who have their backs to the wall but nothing would satisfy you unless you enjoy the current moment no matter if it is IA, TOK presentation. Plus, do your best as much as you can and show your potential. Your life is gorgeous like a Peyto river, when there is a will there is a way. Take it without hesitation when the opportunity is given to you, do not hesitate for help when you are struggle. Every work you do will definitely pay you back, Trust me. God bless you all. 1 - I certainly have developed many skills throughout my IB life. It is difficult to choose only one as they overlap, but my top choice would be "Balanced". This skill ensures that I am putting enough effort into the tasks that I am performing, but not to the extent that it starts to exhaust me. This skill will certainly help me in life as in order to have a healthy life in the future, I will need to have a balance between the many different tasks that I will have to complete. 2- UISZ has made me a better person by allowing me to learn from the mistakes I made. As a kid, I mean, as a human, we make mistakes; some of them big and some of them small. Some of them can significantly impact other people and some not. I am confident to say that in any other school, we might have been asked to leave because of some mistakes. But in UISZ, and I speak from my own experience, the community allows you to learn from these mistakes and they always look for the best way to overcome the problem. The way that the UISZ community allows us to make mistakes, enables us to feel secure with people around, building better relationships which consequently leads to a community full of harmony. 3- I have many good memories from UISZ... One of them is certainly the day I got a red card during a soccer tournament (ACAMIS). I didn't get it because I hurt someone on the pitch or something from that nature. I got a red card because it was our last game, we hadn't won any game until that point that my friend Brien scored 2 minutes before the end of the game. Exited and without thinking, I took my shoes and my shirt off and started running around the field celebrating with my team and got a red card! "What do you think are the most important skills have you learned through studying the IB that will help you in your future?" During my whole IB journeys, people kept casting doubts on the usefulness of history. However, throughout these two years of learning history, I began to find out that history enabled me to understand better the problems we, global citizens, face and the options we have. Studying the affairs and conflicts between countries in the past decades allowed me to see the current international relationships clearly. Also, in the era of globalization, understanding one's history sometimes means understanding their culture, which enables people from different cultures to communicate. All in all, the study of history gave me the skills of analyzing, critical thinking, and problem solving. My time in UISZ involved in leaderships, gaining knowledge, problem solving, etc. Various activities in our school such as International Day and Spring Concert definitely helped students to thrive in this community, and we are able to help each other to become a better person. For me personally, IB learner profile set up goals for me to achieve. Teachers also gave me constant support on both academic study and out-school activities. All these in this environment helped me to become a better person. "What is your favourite memory from your time at UISZ?" It would be the time that Erin and I led Wind House to win the Singing Competition. It was the first time for me to win awards as the leader of a group, which gave me a sense of confidence and pride. Even after two years from graduation, there are still so many good memories which come up when I hear the word UISZC. UISZC had an incredibly supportive and friendly atmosphere from both school and boarding life, and that really encouraged me to thrive better. I made friends with every one of my classmates and things we have done together were just fabulous. My advice to graduating students: study hard but also take advantage of extra curriculum activities Utahloy provides. IB is definitely not everything in life. Andres graduated from UISZ in 2016. 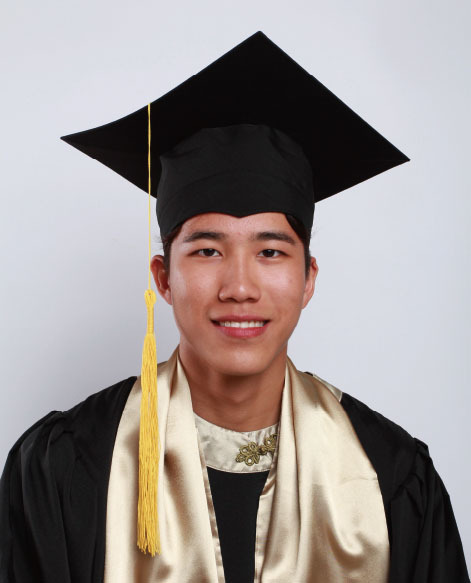 He decided to continue his education in the United States of America at Washington College. Following this, he plans to complete a mastery on Business Management and expects to graduate by 2020. Andres inspiration to study Business Management came from his experience on working in the food industry as an accountant assistant. Until now, he still looks back at unforgettable memories from his time at UISZ. The eight years he spent in Utahloy were his best, he got the chance to meet great people and make great friends that up until now he looks as them as family. Andres advice to current IB students would be – time management is a crucial skill and your best friend throughout the IB, you have to priorities what is important to you first before you think about the rest. You cannot do everything at once, take your time! UISZ Boarding life was a great experience for me, particularly having roommates and living on campus. You get to spend time with your friends outside of just school and being able to get to know them better through living together. Friday night Wanda trips were great, going to the mall to stock up on snacks, have dinner and occasionally going to the cinema. I have learnt to be more accepting of others during my time a UISZC, due to living in a boarding school with 2-3 other roommates. There is no privacy at all and you have to learn how to deal with different personalities, even if they annoy you. My advises to students: do everything in moderation. Don’t just study hard all you will end up feeling exhausted and brunt-out. Set aside some time to exercise and do the things you like to do, such as gaming or other hobbies. Maybe even pick up a book once in a while. In 5 years I hope to be a fully qualified Emergency Registered Nurse. I have always wanted to work in the Health Care industry and a fear of spending 40 years of my life sitting behind a desk. I want spend my life doing something for others. Claire graduated from UISZ in 2015 and moved to Australia to study Bachelor of Commerce at the University of Melbourne. She plans to complete an honours year after her bachelor in actuarial studies to gain an international accreditation. Claire treasures the friendships and memories that UISZ gave her, and continues to use the important critical thinking and academic capacity she was able to develop from her maths and science classes which allow her to excel within her chosen field of actuarial studies. Her advice to new students – don’t punish yourself or get stressed about your mistakes; instead use them to improve and grow as a person, that will allow you to be the best person you can. Caption: Left (Claire Tan); Middle (Galvin Chan); Right (Meng Zhang) – all UISZ Alumni studying at the University of Melbourne. not what other people expect you to take. Achievements: Confidence with various subjects. 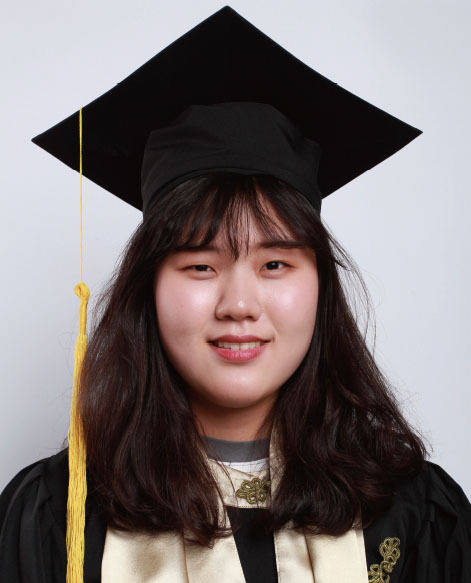 Favourite quote: "...feel like having personal classes"
Favourite Memory: My most memorable event was MUN because I made a lot of friends and I developed skills during the activity. Achievements: I learned a lot, not just academics, but the skills that I need for success. Favourite quote: Life is like a box of chocolates, you never know what you are gonna get. Favourite Memory: I really enjoyed Week Without Walls, and I had a good time there. Achievements: I gained a lot of knowledge and I have found a lot of friends. Favourite quote: "It’s a magical experience." Favourite Memory: Basketball and volleyball teams. Achievements: All the expected and unexpected. Favourite quote: "Time cannot change all." Favourite Memory: Basketball ACAMIS in Hong Kong. Achievements: Happiness, friendship, love, heartbreak. Favourite quote: "Mistakes are proof that you are trying." Favourite Memory: When I was shy and quiet in year 8, doing performing art in the Art Festival and wandering around in the school area. Achievements: The skill of coping, adapting, and accepting. Favourite Memory: All the time I spent with the ones I care about. Achievements: Knowledge, confidence and friends. Favourite quote: I "love" IB. Favourite Memory: I have had many memorable times, like when I started skateboarding, being a 7-day boarder and having crazy weekends, studying in a school in the middle of nowhere, and getting to know special people. Achievements: I have gained many friends and learned a lot from my school experiences. I learned to question authority and the knowledge I have. I also learned many other skills that I wouldn't have learned if I did not come to Utahloy, ranging from how to write a proper essay to how to catch a fish. Favourite quote: "For every answer you get, there will be three more questions"
Favourite Memory: The most memorable time was when I was in sports teams such as basketball, volleyball, and football. I started to play sports in our school's sports team (Cobras) when I was in Year 6. Over six years I've learnt many new skills, mostly teamwork. I've met various levels of teams and people, and I always worked together with my team members and communicated together as team. And especially going to tournaments, and ACAMIS gave me and showed our team's improvements and achievements. The time that I spent in sports teams was my most memorable time in UISZ. Achievements: I’ve improved my English a lot since starting here at UISZ in Year 5. I met a wide variety of teachers from different nationalities and also students. I've learnt something from many different cultures and experiences from them. Favourite quote: "Don't be afraid of making a mistake, just do what you want to do." 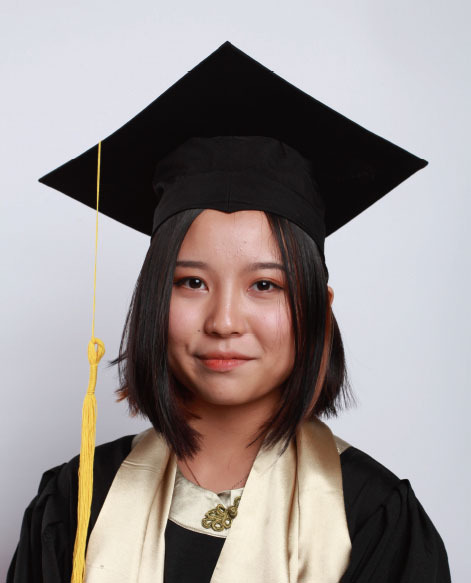 Favourite Memory: I would definitely say that every moment that I was in Utahloy Zengcheng was a memorable moment. But the time I reminisce about and probably will remember the most was in my first and last Week Without Walls. It only had been several weeks after I moved to Utahloy, but it was a good chance for me to get to know the teachers and my friends a lot better than I did before. The group 4 project was not in anyone's mind. For once in a long time, we actually forgot about school work and had time to relieve our stress and have fun. Achievements: I came here late, if you would consider the middle of the last grade late, but it was quite easy for me to settle down. New friends, new teachers, new environment. Everything was new, but it was new in a good way. I had my ups and my downs. But the ups always outweighed the downs. Favourite quote: "Don't take IB too seriously, no one makes it out alive." Favourite Memory: Year 11 Week Without Walls in Heishan village. After paving a road for the whole day, we laid on the roof of the house we lived in, and when we looked up at sky, we saw the sky full of stars. Achievements: Friendship worth keeping. Courage to face pressure and difficulties. Be more extrovert. Favourite quote: "The greatest gift from life is friendship, and I have received it."